SAUDI SHEIK AL-BARRAK: MOST IMPORTANT PART OF SHARIA IS TO WAGE PERMANENT WAR ON THE INFIDEL – The Tundra Tabloids……. 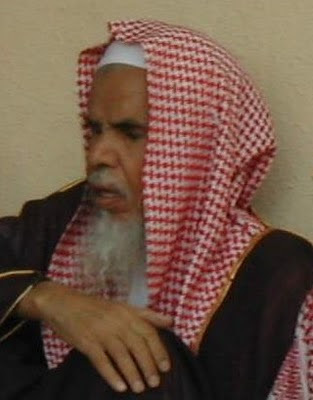 MEMRI: Saudi sheikh ‘Abd Al-Rahman bin Nasser Al-Barrak, a former lecturer at the Imam Muhammad bin Sa’ud Islamic University in Riyadh, posted an article on his website albrrak.net titled “Jihad for the Sake of Allah is the Height of the Summit of Islam.” In it, he stated that jihad against the infidels is an eternal and most important commandment of shari’a, and that its supreme goal is to make the word of Allah supreme. Quoting from the Koran and the Hadith, he stressed that jihad is still a source of honor for Muslims, and that its absence is a source of their humiliation. Al-Barrak added that if the enemy is amenable to reconciliation, and this serves the interest of Islam and of the Muslims, they may reconcile with him, but only temporarily, not permanently – as the Prophet Muhammad did with the Jews concerning Al-Madina. Al-Barrak set out several laws of jihad for the sake of Allah: Muslims must make ready their strength to the utmost of their power for jihad against the infidels; Muslims may take infidel fighters captive, but only after they smite them with the sword and bind a bond firmly on them; in the event that the Muslims are victorious over the infidels in war, they may take booty and captives – including the wives and children of the infidel fighters – and may enslave them. Previous Post Previous Post SWEDISH PM SAYS SWEDEN DEMOCRATS AT FAULT FOR VIOLENCE AGAINST THEM……. Next Post Next Post INTERESTING ATTITUDES ON OBAMA AKA SORETORO…….